If you're looking for originality, this one is a true success-story! Lots of people have received THE call back with this creative resume. Just go for it! 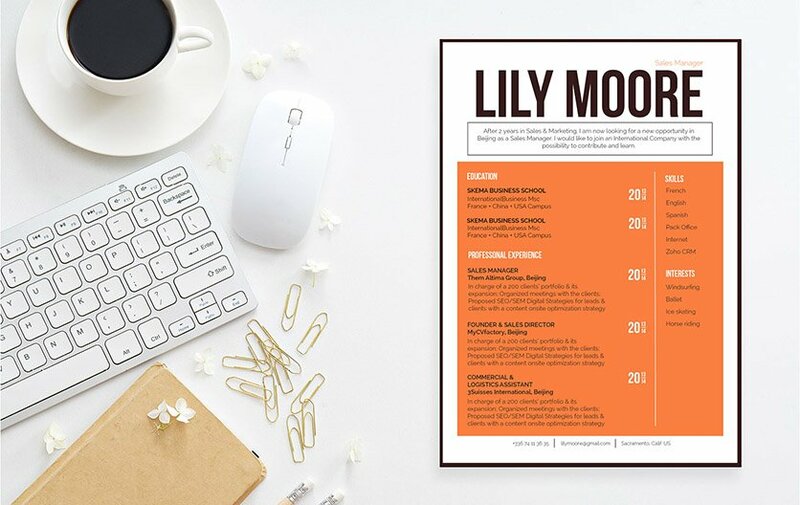 CV template to download "Casual"
The Casual Resume has modern and eye-catching format that will surely get the attention of your potential employer. This free resume features a selection of colors, texts, and graphics that create a well-laid out design. All the key information written in this CV template is made readily available, which makes this resume a perfect fit for any type of job! 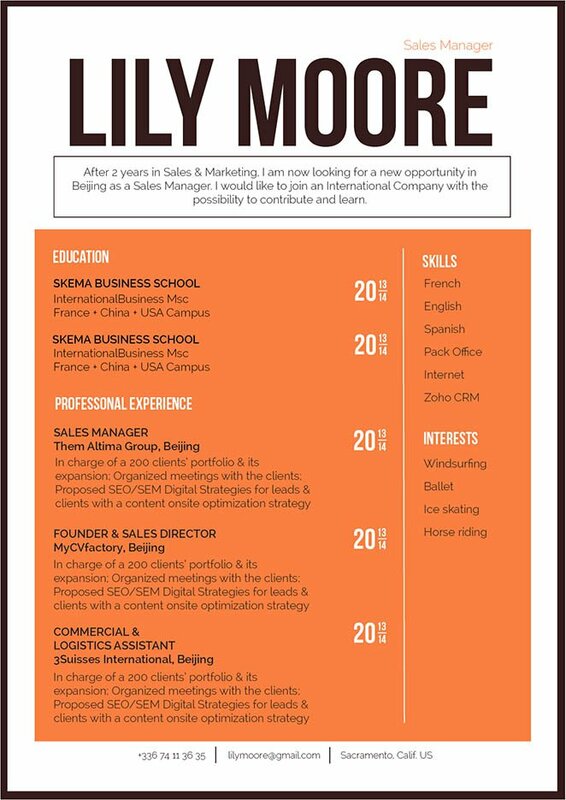 This is one CV template that will surely get you hired! Having resume that is easy to read can greatly increase your chances of landing that dream job. One major aspect of an effective resume is how good its lay out and overall structure is created. Using fonts such as Calibri or Helvetica will give your resume a more professional look. Make good use of bold and/or italic font styles to help guide your potential employer's eyes along your resume. Bullets and graphics can help highlight essential points written on your CV. While headings and subheadings give your resume a logical format that easier to follow and provide further emphasis on the key points written in your CV.